Milwaukee Riverkeeper ($52,000)An essential component of implementing Total Maximum Daily Loads (TMDLs)—the maximum amount of a pollutant that a body of water can receive while meeting water quality standards—is water quality monitoring. 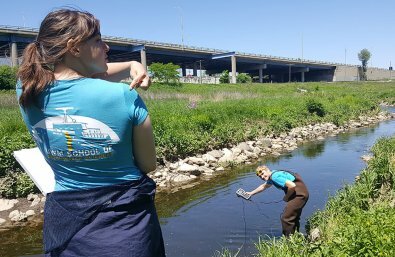 This $52,000 award will therefore support Milwaukee Riverkeeper’s project to expand its volunteer water quality monitoring program to increase the amount and quality of baseline data available. This monitoring expansion is especially needed in the northern half of the Milwaukee River Basin, as well as for small creeks that the Milwaukee Metropolitan Sewage District does not currently monitor. This data will then be used to track the progress of the TMDLs for the Milwaukee River Basin.